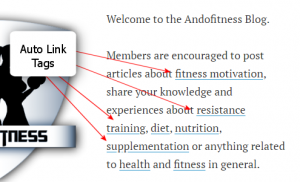 Welcome to the Andofitness Blog. Members are encouraged to post articles about fitness motivation, share your knowledge and experiences about resistance training, diet, nutrition, supplementation or anything related to health and fitness in general. Share or publish photos, videos, memes or just about anything you can think of. 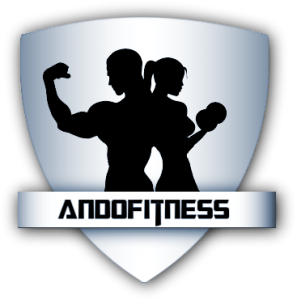 Each article will be shared on all Andofitness social media platforms including Facebook, Youtube, Instagram, Twitter and Google Plus. When you use any fitness related keywords in your article, they are smart-linked and automatically added to the tags list. Look to the right side-bar and you will see a set of tags in the Tag Cloud. Look to the bottom, under this article and you will see similar tags and also “Related Tags”. Each tag is clickable, and points to a page that lists content about the tag. On that page, the tag is also embedded in the title, meta description, meta keywords, and again also in the tag clouds and related tags content, making the page highly optimized for Google bot (otherwise known as Google “juice”). At the bottom of this article, Related Posts are automatically listed with included thumbnails. You will also notice the article is easily shareable via social media icons, so anyone else can also share your article. Another thing you’ll notice is the Facebook comments module, so people can easily comment on the fly if they are logged into facebook (without having to create an account on this site, for example). I embedded pictures in the article, floating it to the left or right (to do this, just click the image and select “Align: left”). The text automatically wraps around the picture. 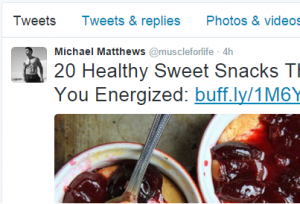 How is any of this good for you (the author of an article)? Your affiliate code is automatically embedded into all the links of the page you author. So when an internet surfer types in the keywords, they will see your article listed in Google, and click through. Then, if they click on ANY LINK to the site and eventually join (purchase a membership), you get the 65% commission. How to check: Hover your mouse cursor over the “Main Navigation” links on the right side bar, or, in the footer area. You will see the “?aff=TestID” with my affiliate ID (this is just an example). If this were your article, your affiliate ID would be appended to the end of all these links. When the article is shared, the image becomes the prominent feature and is the first thing that is visible. So make sure you include at least one image when you post your article. As I mentioned earlier, your article is shared on all Andofitness social media platforms. Also note, when you post one article, due to the auto-tag functionality, 10+ additional pages are created dynamically, all of which point to your article, which is embedded with your affiliate ID. It’s not just Google juice, it’s Google Super Juice. And yes, Googlebot will also index the page with the affiliate link embedded in it. Now tell me that isn’t sick. Am I right?